Tour offers an overview of the main historical, cultural and popular elements that have shaped the city of Miami. Pedro Medina León shares through essays and brief chronicles, how Henry Flagler opened the doors of Miami to the rest of the country; how the decline of the legendary rock band The Doors started in Coconut Grove; how Opa Locka, a city inspired by The Thousand and One Nights, was conceived as one of the most ambitious urban projects and today is one of the poorest neighborhoods in the United States; how Bob Marley died in a hospital bed in Downtown Miami and how Cassius Clay was crowned the world boxing champion in Miami Beach. 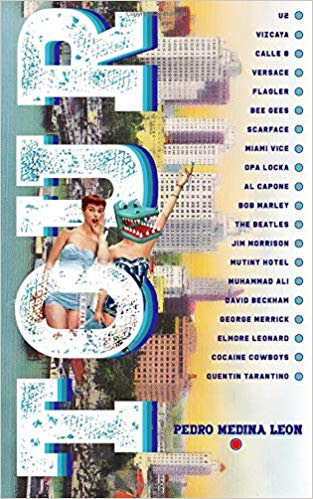 And among these fascinating and controversial characters he describes the different faces of a city that started as a small agricultural and fishermen village, transformed itself into the world capital of crime and drug trafficking in the 1980s, and has now become a haven from Latin America.